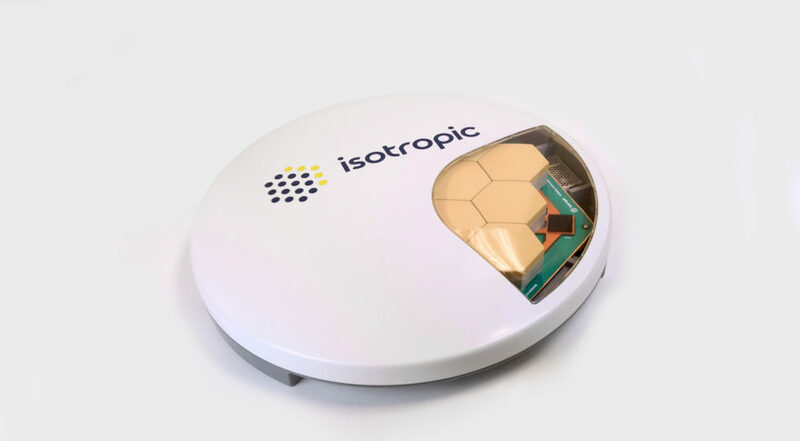 Isotropic’s user terminals use electronics instead of mechanical dishes to link with satellites, enabling communications with two or more spacecraft simultaneously — an important feature for broadband internet constellations. Finney mentioned Kymeta, Phasor and Satixfy as competitors. Finney said Isotropic has demonstrated a “minimum viable product” for consumer broadband terminals using a combination of its own technology and commercial-off-the-shelf components. “We can produce a terminal, certainly in Ku-[band], that is lower than $300,” he said. A Ka-band terminal would be sub-$450, he said. Final products are still a few years from completion, however. Finney said Isotropic will do over-the-air testing with fleet operators Inmarsat of London and SES of Luxembourg this year, followed by prototyping final terminal designs in 2020. Aeronautical terminals would likely take until 2022 in order to complete regulatory certifications, he said. Finney said Isotropic’s first user terminals will be designed for Ka-band since many of the company’s partners — SES, Inmarsat and Avanti — all field satellites using those frequencies. Ku-band terminals, like those needed to work with OneWeb’s future constellation of low Earth orbit satellites, would follow six months later, but could be accelerated based on customer demand, he said. Finney declined to say how much money Isotropic has raised to date, or how much the company will need to finish its terminals. “From where we stand today, I fully believe that the company is set to achieve all milestones all the way out to cash-flow positive,” he said. He said the 22-person company will likely place its chipset development work in the United Kingdom, citing access to resources like the U.K. Space Agency, Innovate UK and the Satellite Applications Catapult.